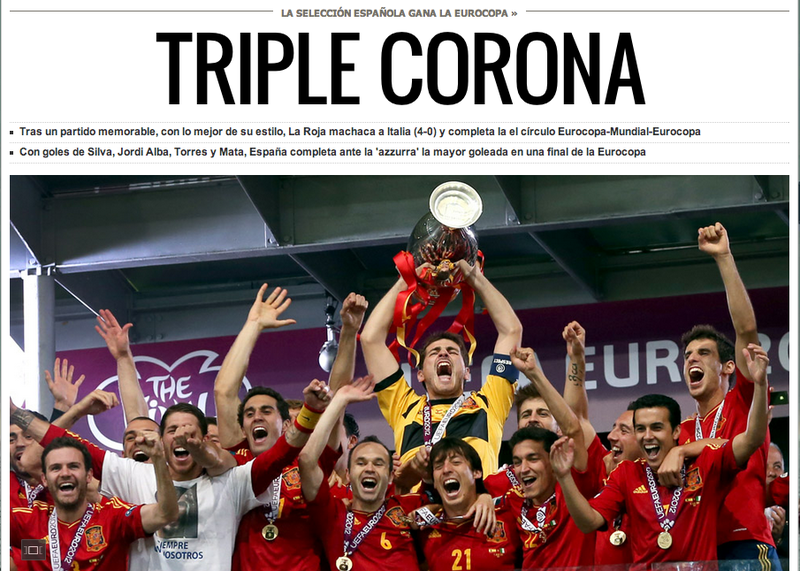 In case anyone didn't know, tonight Spain won Euro 2012, beating Italy 4-0. Firstly, it's the first time anyone has scored four points in the Eurocopa. More importantly, this is the first time that any team has won three consecutive major tournaments; Spain won Euro 2008, World Cup 2010, and Euro 2012. It's currently 1.35am and cars are still honking as they pass (and keep in mind I live out, out of the center). It's a crazy party downtown right now, which will no doubt continue until morning. 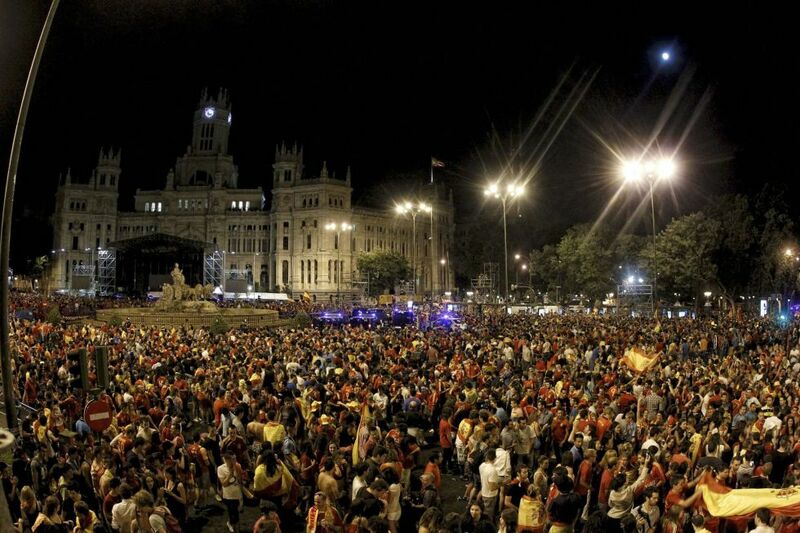 I sure picked two good years to live in Spain!